History of Thanksgiving: How Much Do You Know About Turkey Day? 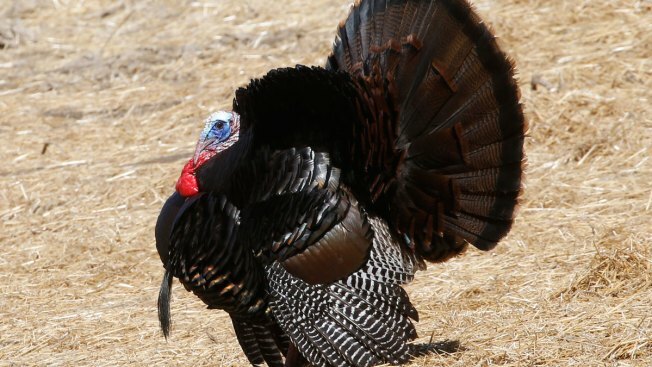 A wild tom turkey spreads his tail and puffs out his feathers as he approaches a hen in a field in Zelienople, Pennsylvania, on May 2, 2015, the first day of Pennsylvania's Spring Gobbler hunting season. Millions of Americans will travel to visit family and friends and stuff themselves with turkey and pumpkin pie on Thanksgiving. But how much do you know about the holiday’s origins and why we celebrate? Test your knowledge of the history behind Turkey Day with this quiz.